Government Of West Bengal, Office Of The District Health & Family Walfare Samiti, Lichubagan, Howrah, Is Recruiting Medical Officers, Through The Walk-In Interview, So Interested Can Attain The Interview On 19Th Of December, 2018. Please Read The Recruitment Notification For Better Understanding, It's Given Down. MEDICAL OFFICER- FULL TIME (NUHM) →14 Vacancies. GENERAL DUTY MEDICAL OFFICER (NRHM) →01 Vacancies. 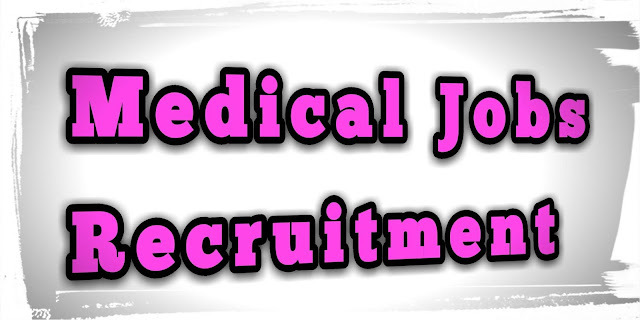 MEDICAL OFFICER (THALASSAEMIA CONTROL PROGRAMME) →01 Vacancies. SENIOR MEDICAL OFFICER – DR-TB CENTRE (RNTCP) →01 Vacancies. Total Number Of Vacancies →17 Vacancies. Age Limit →66 Years Is A Maximum Age Limit For The Post Nos. 1 & 4, 65 Years For Nos. 2 Post & 63 For The Nos. 3 Post. Educational Qualifications →MBBS Degree In Concern Discipline, Please Check Out The Notification For Details. Mode Of Examination/Selection Process →Personal Interview, You Have To Carry All The Important Documents. Walk-in Interview Date & Venue →19th Of December, 2018, At 11:00 A.M. Onwards, In Bungalow Office of the CMOH, 11, Dr. P.K. Banerjee Road, Lichubagan, Howrah- 711101 (Near Mallikphatak, between Correctional Home (Jail) & BSNL Office). Result →For DHFWS Exam Result, Visit Official Website Here >http://www.healthyhowrah.org. Download The Official Notification & Offline Application Here.